Even Jesus got away from it all. I am not shy about using my vacation time. Last week was one such pause. 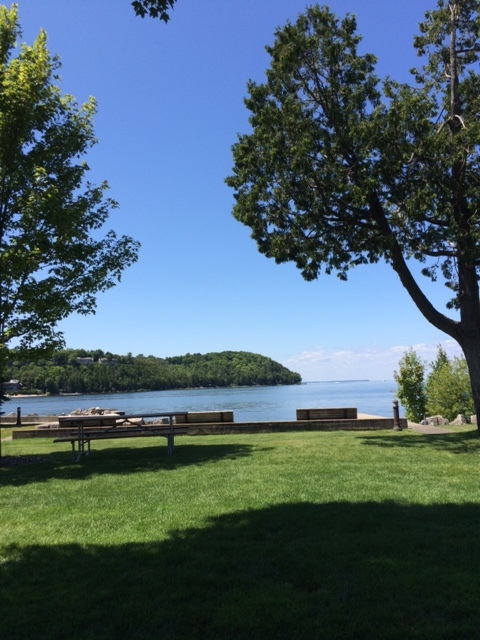 We traveled to our sacred ground–Sister Bay in Door County Wisconsin. The days were warm and sunny with low humidity and no bugs. and time to simply be…. Yes, even Jesus stepped away from it all once in a while….I’d like to imagine he visited Sister Bay. Yes it does! Thanks so much.